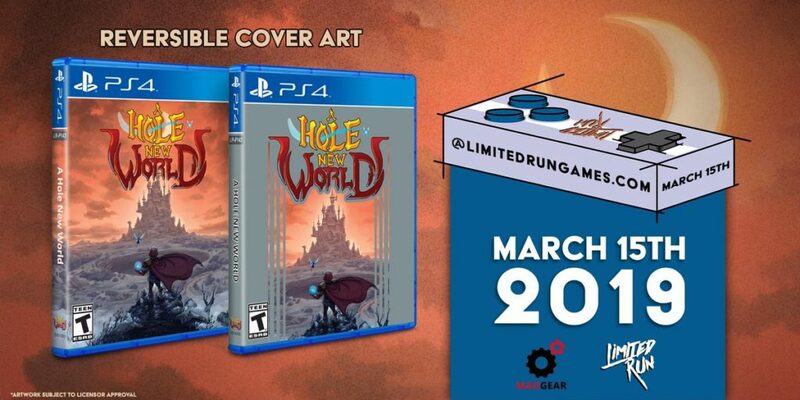 It’s our great pleasure to announce the PS4 physical release of A Hole New World thanks to the fine folks at Limited Run! We’ve made a brand new reversible cover for the occasion, so you can choose between a more classic look or the “hole” and colorful artwork. This “Limited Run” will be available next Friday, March 15th at 10am EST!